Good security is crucial to protecting your property. But as no two farms or rural businesses are the same, there’s no standard, one-size-fits-all solution. However, there is good practice! To understand how attractive your property might look to a thief, simply go to the nearest road or footpath and look at it through their eyes. Are there any signs that security is good, like CCTV or gates? Are there many people about? Have vehicles and tools been locked away, or are they on show? 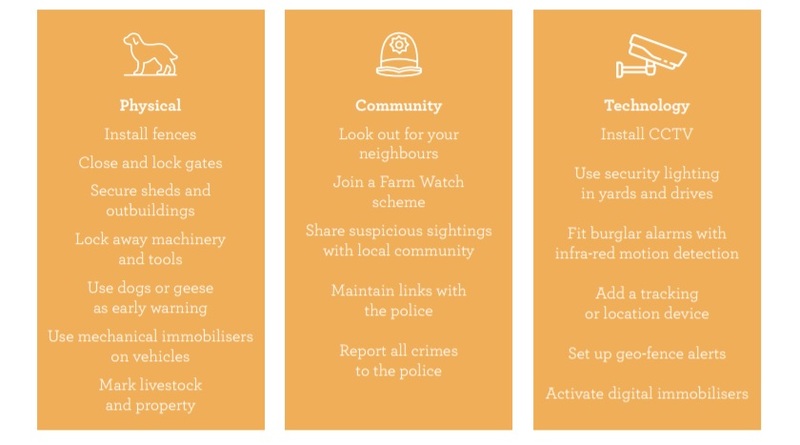 If you think you could benefit from better security, seek crime prevention advice from your local police force or ask NFU Mutual Risk Management Services Ltd for a consultation. Security for your rural business or property falls into three main categories. It’s a good idea to do as much as you can. Farm machinery and vehicle theft cost £5.4m in 2016. Follow this simple checklist to help keep your farm vehicles safe. Don’t make it easy for thieves, even if you only leave your vehicle for a minute. Open gates can be an open invitation to thieves. If the gate’s unlocked, what else might be? 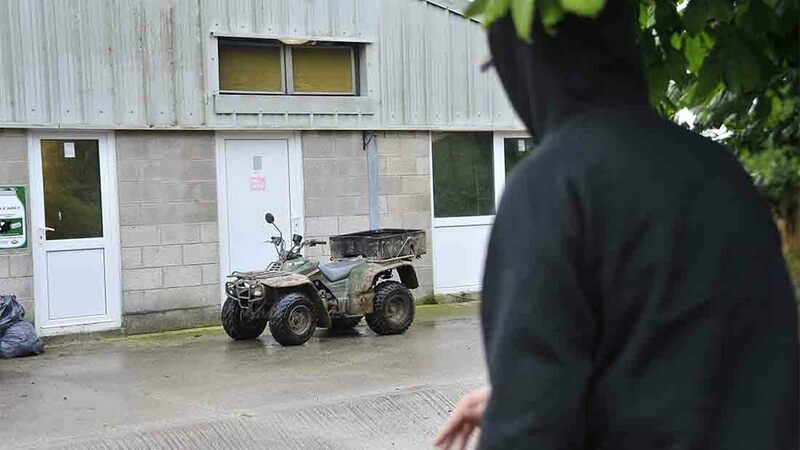 CESAR marking makes tractors, quads and other vehicles far less attractive to thieves. Thieves target tractors with less security. But if they can’t start it, they can’t take it. Stealing your vehicles is less profitable if a thief has to replace all that glass. Fitting GPS trackers to more expensive vehicles and machinery means you’ll always know where they are. Heavy-duty security chains and padlocks will usually deter the opportunist. Providing serial numbers helps police and insurers recover stolen machines and bring criminals to justice. Equipment left in the yard, machinery left in fields - if it’s in view, it’s vulnerable.